In a saucepan, heat 2 cups of the water (save one cup for later). Add the milk powder and simmer. stir and add the sugar. 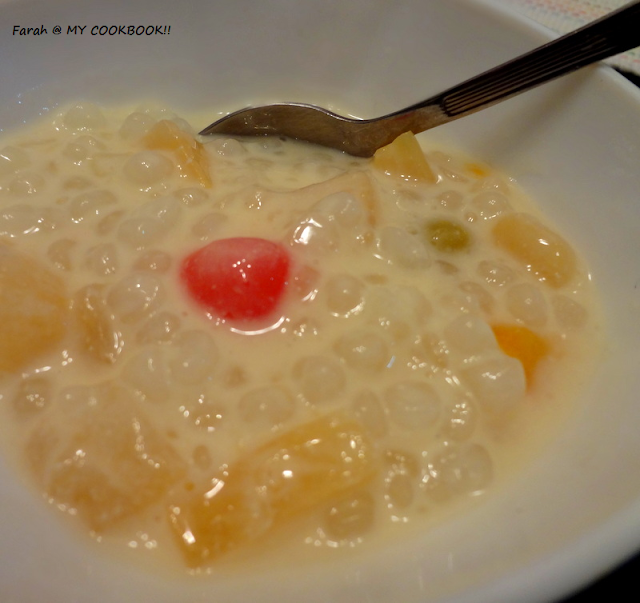 Add the boiled sago and simmer for a few minutes till the sago blends with the milk. Add the required amount of syrup from the fruit tin and adjust the sweetness. 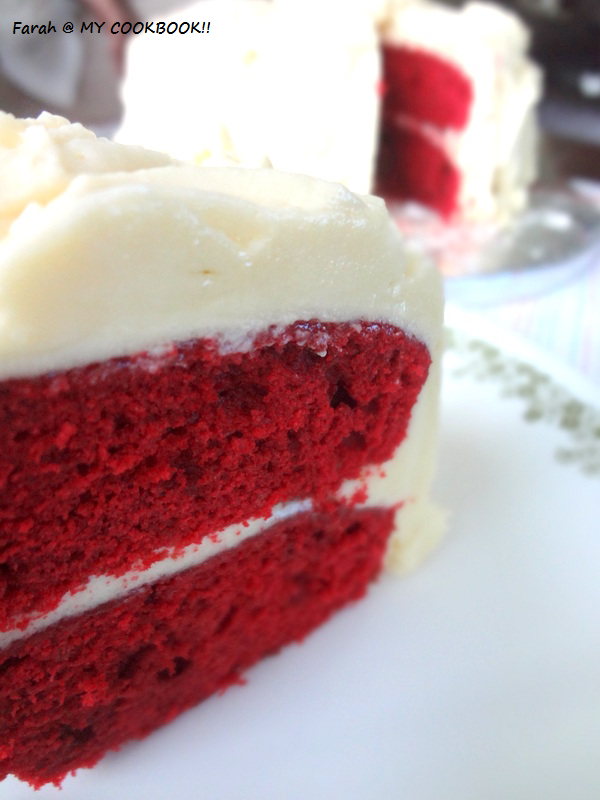 If the dessert has become too thick add milk to bring it to the desired consistency. switch off the flame. Add the vanilla essence. 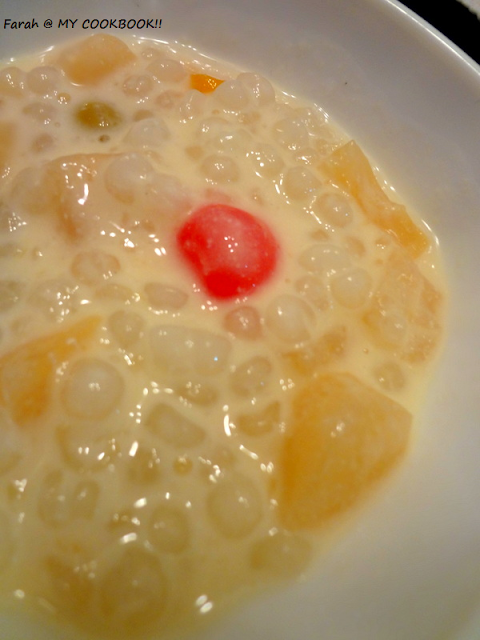 when the dessert has cooled a bit add the drained fruits. instead of milk powder you can use carnation milk or milk maid accordingly to enhance the taste . you can even use plain milk. 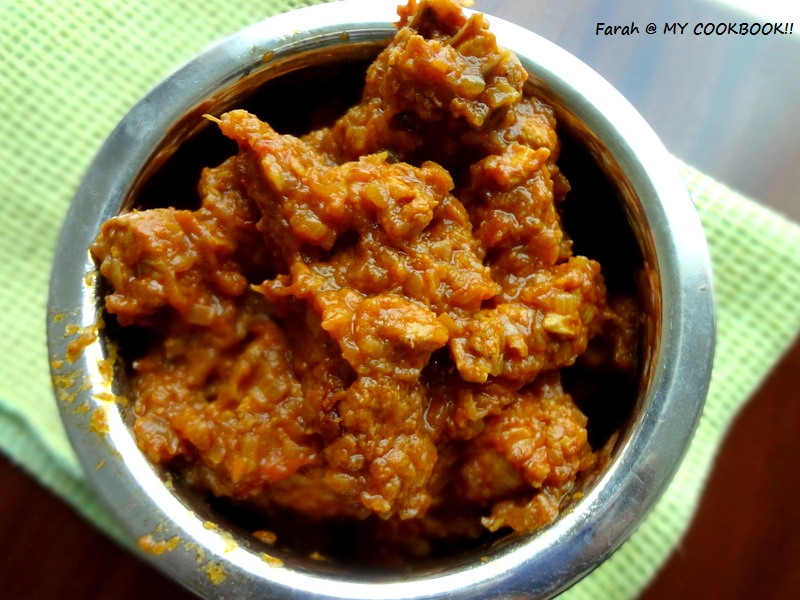 I usually make it along with vegetable Biryani or chicken Biryani at home. 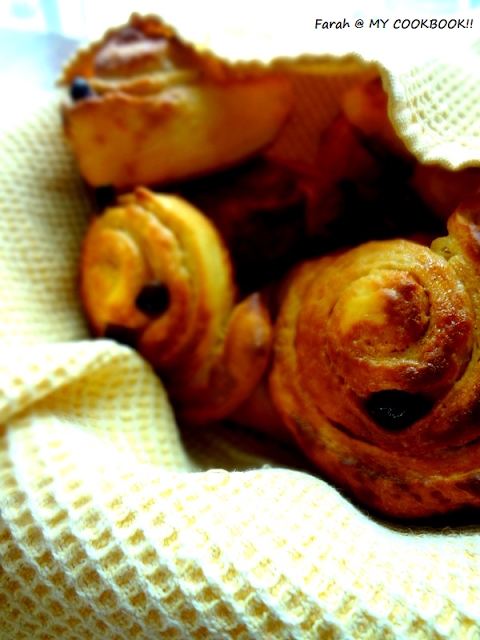 The recipes can be viewed here and here respectively. The vegetable biryani is a rice cooker version so its super easy and quick once you have all the veggies cut and ready. tamarind - 1 tbsp soaked in 1/2 cup hot water and then extract the juice. Add the dried chilly and the curry leaves. Add the onions and fry till slightly brown. Add the ginger garlic paste and saute for a few more seconds till the raw smell leaves. Add the sliced garlic and green chilies. Add the chilli powder , cumin powder and the fish curry powder. saute for 30 seconds. Add the tomato and close and cook for a few minutes till it becomes mushy. 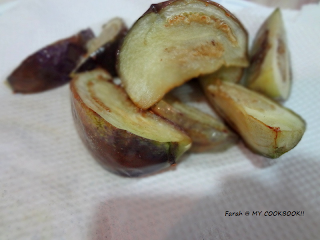 Add the fried brinjal and some salt. Add the tamarind water and let it simmer. 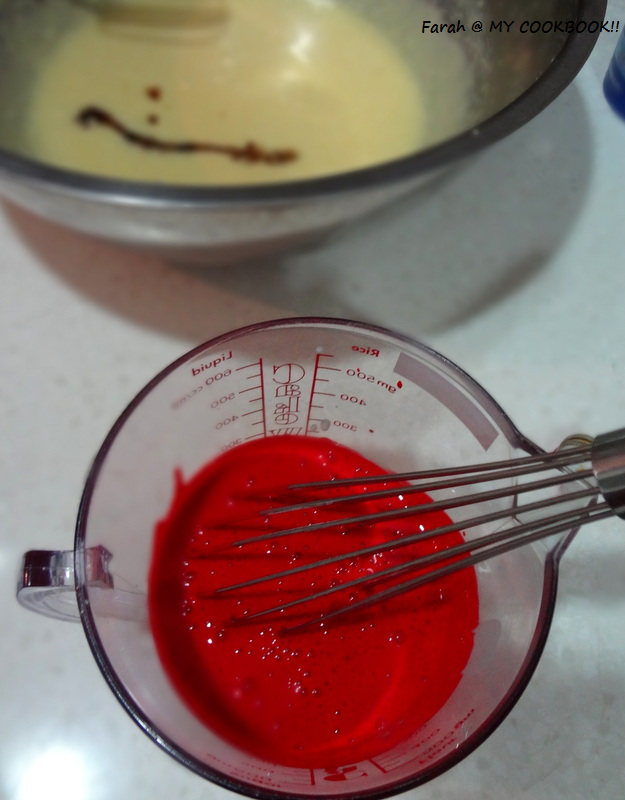 When the water level has gone down a bit, add the tomato puree vinegar and sugar. mix well. Add more water if need be to get the consistency required. 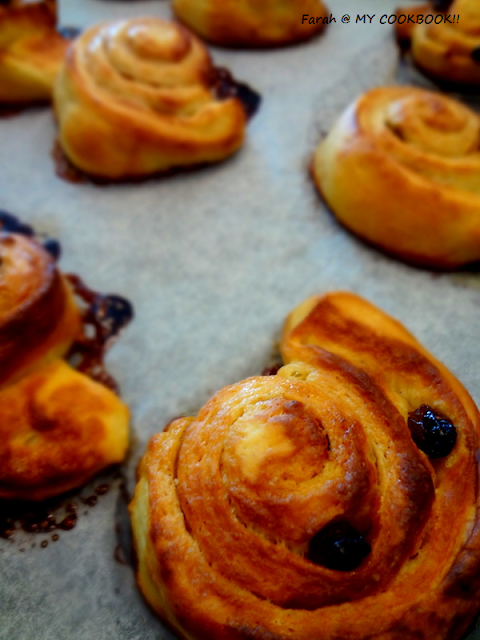 I love cinnamon and raisin rolls.....my husband hates em...or anything to do with raisins! 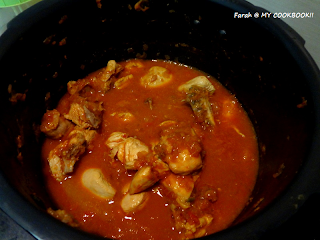 So I patiently waited for my mum and sister to come to kL so I could put the recipe to test. I got 10 rolls. 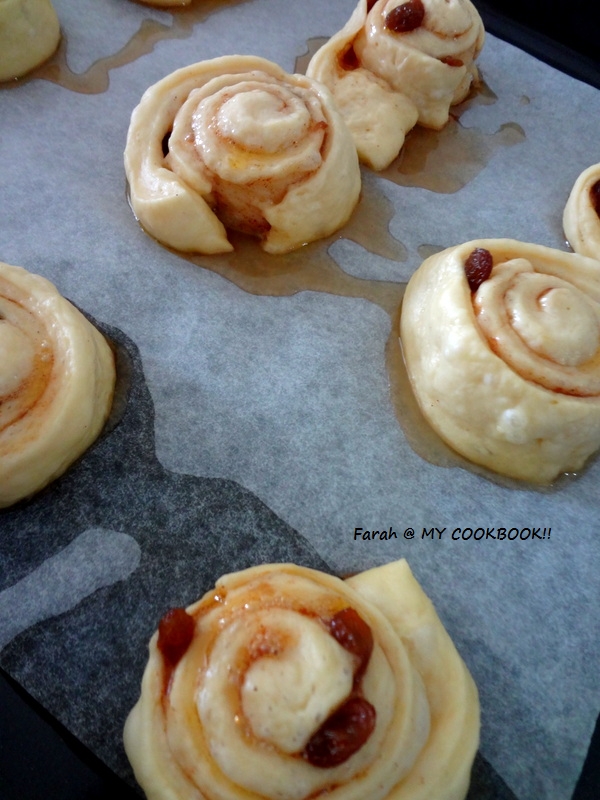 But if you want bigger and fatter rolls cut them into 6. In a bowl, beat the whole egg and the egg yolk, sugar, butter and buttermilk. keep aside. In a large mixing bowl, mix together the flour, yeast and salt. Make a well in the centre and add the egg mixture. 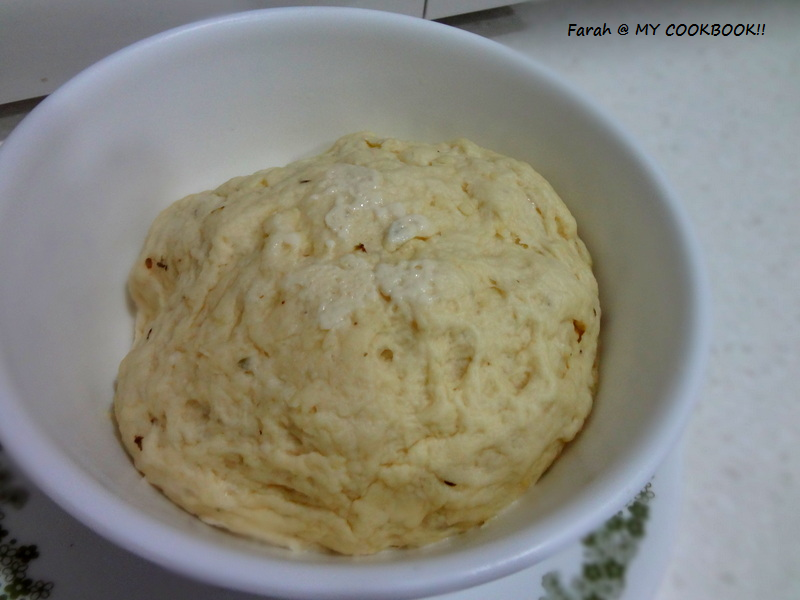 Mix well and then start kneading once you get the dough together. meanwhile, make the filling. 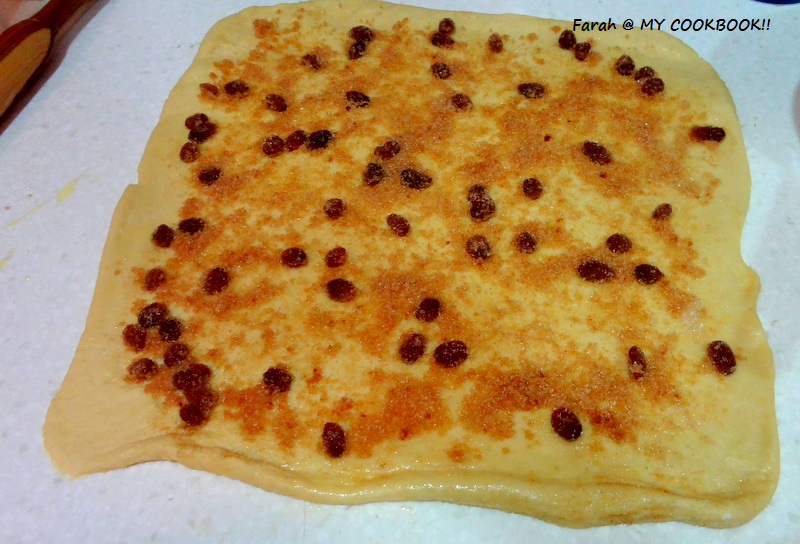 Mix the brown sugar, cinnamon powder, raisins and salt. keep aside. After the dough has risen, punch it down. Lightly flour the work area and knead the dough for a few seconds. brush the rectangle with melted butter. sprinkle the brown sugar mixture on top, leaving a 1/2 inch space at the top edge. slightly press down the filling so it sticks to the dough. 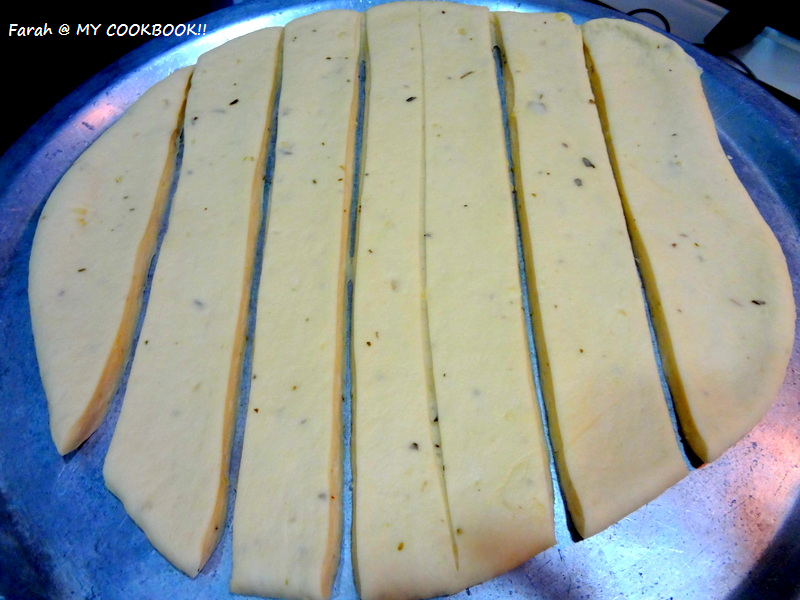 start rolling the dough (from the longer side of the rectangle) as closely as possible till you form a long cylinder. Next morning remove the rolls from the refrigerator and place in an oven turned off. preheat oven to 175 deg celcius. 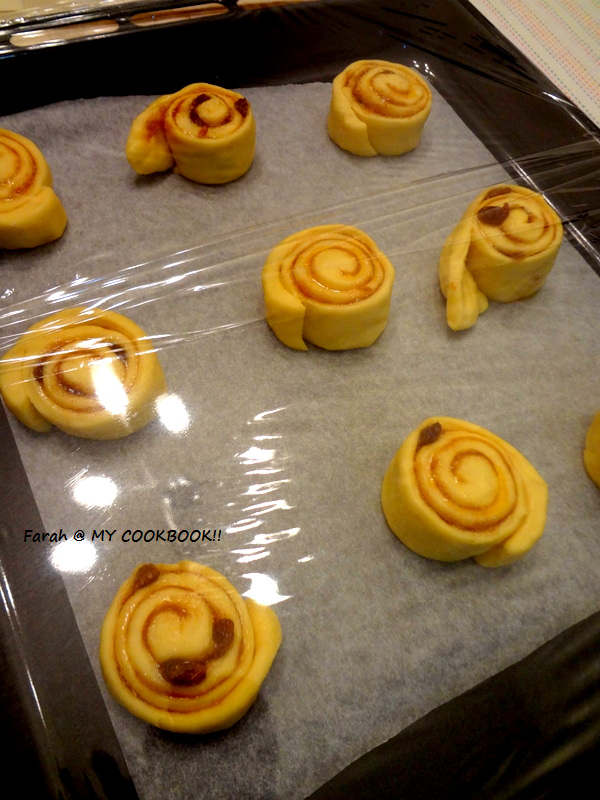 pop the rolls in the oven and bake for about 15 to 17 minutes or until they turn slightly brown. If you are using active dry yeast dont forget to proof it. 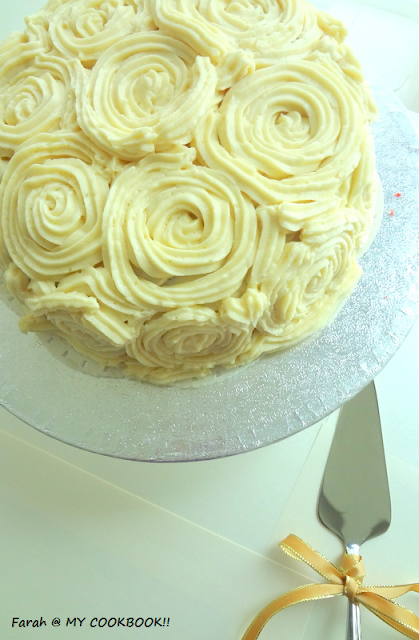 We celebrated our wedding anniversary last month with this beautiful (well ...almost!) 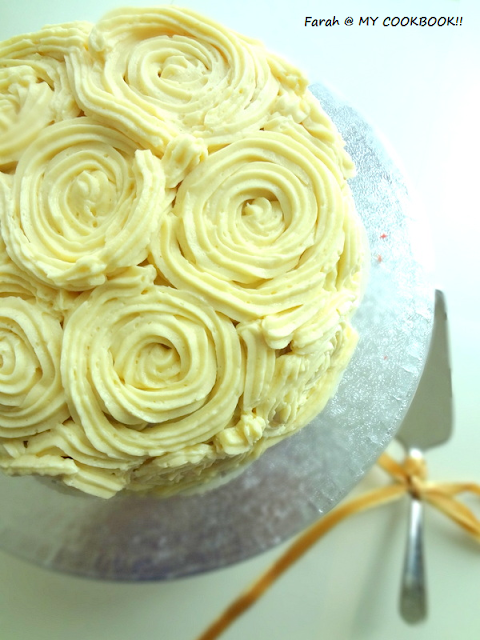 rose cake. The cake tasted really good except that the frosting way wayyyy to sweet for us!! 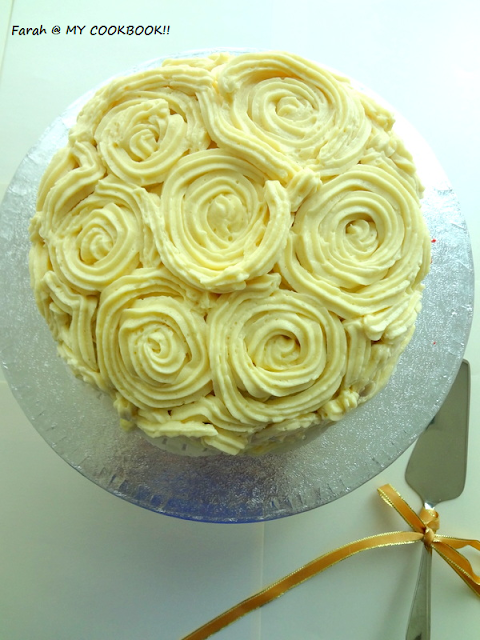 But I picked this frosting coz buttercream frosting is said to give sharper roses! I even reduced the sugar in the cake to 3/4 cup. The original recipes uses 1.5 cups. 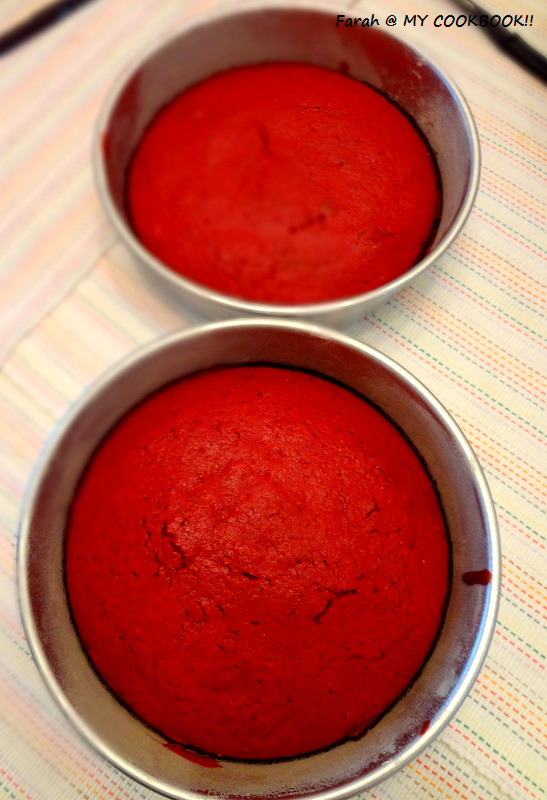 I followed the recipe for the red velvet cakes from joy of baking and followed the frosting from priyas page. End result: the roses ended up looking like murukkus! yeah yeah!.......laugh all u want...hmphh! beat the butter on high until pale and fluffy. Add the icing sugar little by little beating well for 3 mins after every addition. 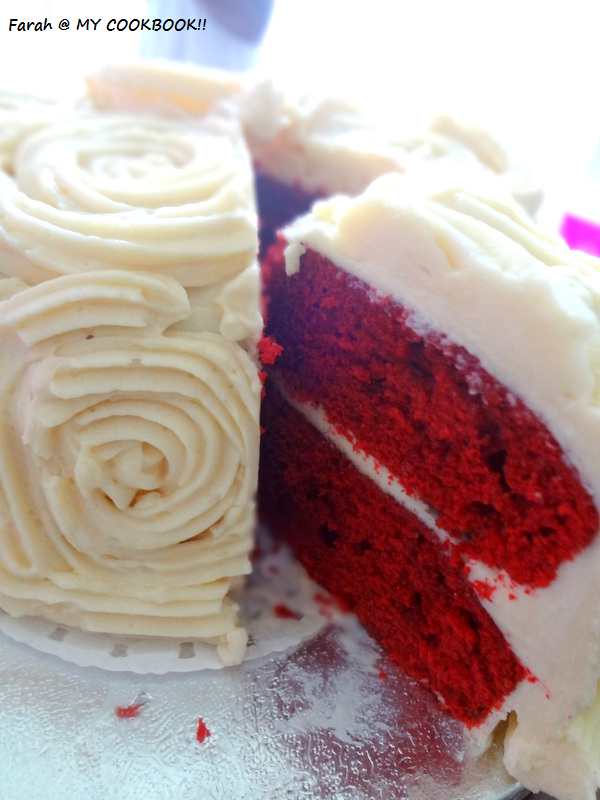 Fill the piping bag with the frosting with the wilton 1M tip intact . Place the first cake on a cake base. Put a dollop of frosting and level it evenly with a spatula. Place the 2 nd cake on top. Repeat the frosting on top and sides of the cake. Refrigerate the cake for about 30 mins. 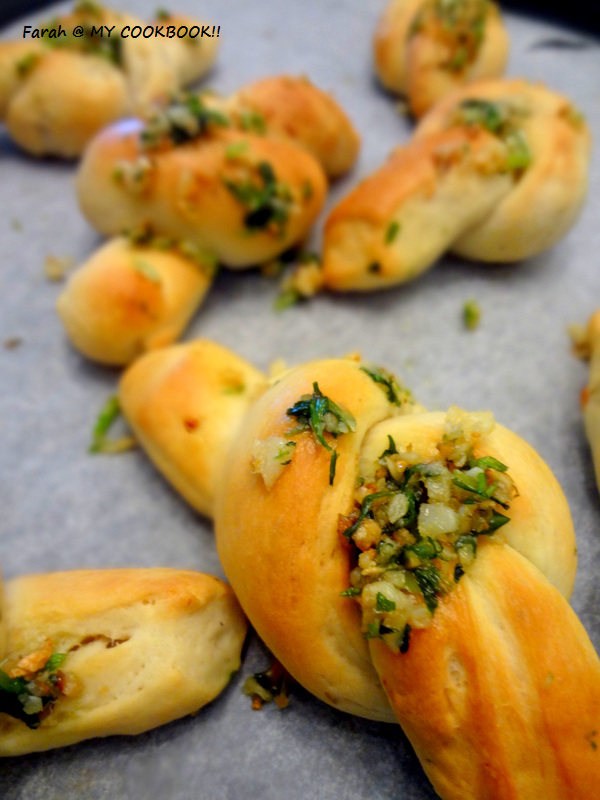 I used my garlic roll recipe for the dough, except that I proofed the yeast with milk instead and took ideas from sangees recipe also! Thanks sangee for making me want to try this out! :) They were so soft and tasty. 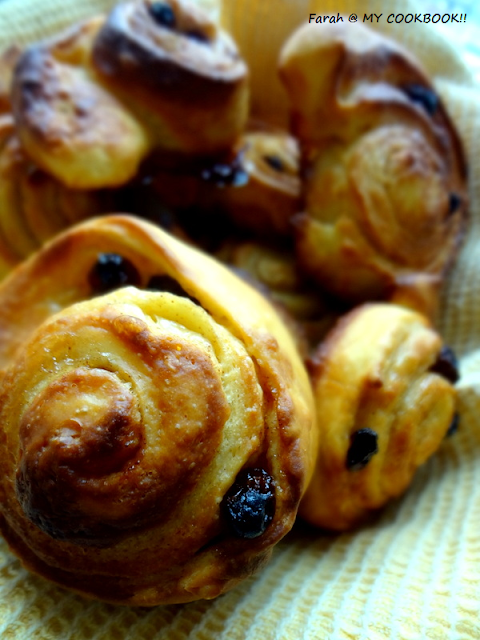 Perfect for breakfast or tea. Or even with your favourite bowl of soup! In a large mixing bowl, add the flour, minced garlic and seasoning. Mix well. Make a hole in the centre and pour in the yeast mixture. 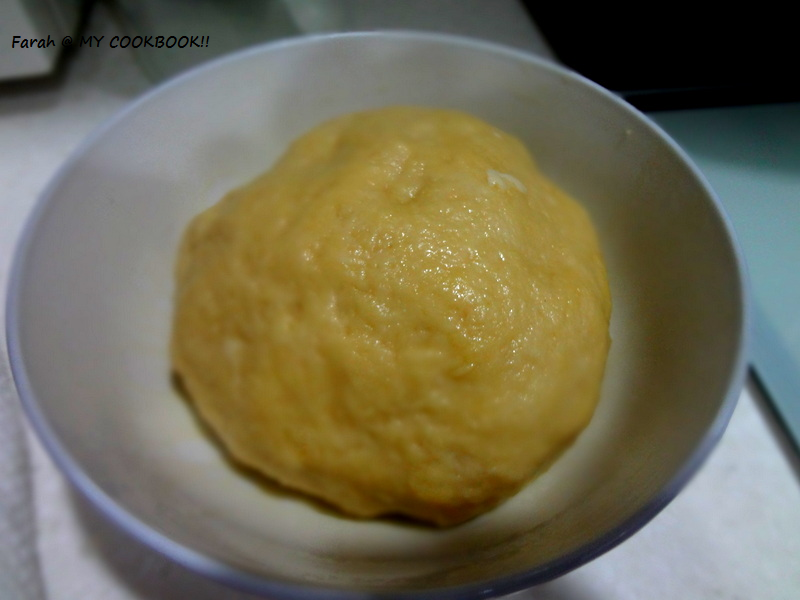 Start kneading and add few tbsps extra of milk if needed to get a smooth elastic dough. 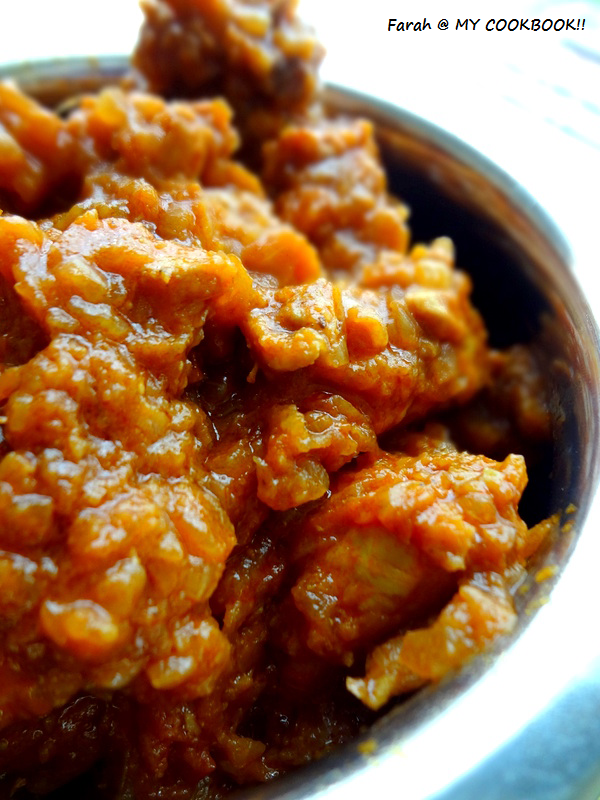 Add oil to your finger tips and knead for about 4 minutes. when pressed with your fringers it should slightly spring back. 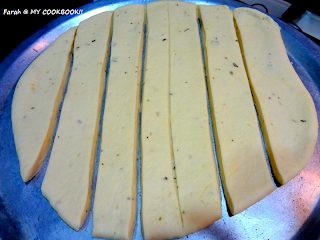 roll the dough using rolljng pin into a slightly thin circle like we do for chapathi/rotis. Then using pizza cutter or knife cut less than 1" vertical strips7-8 strips. 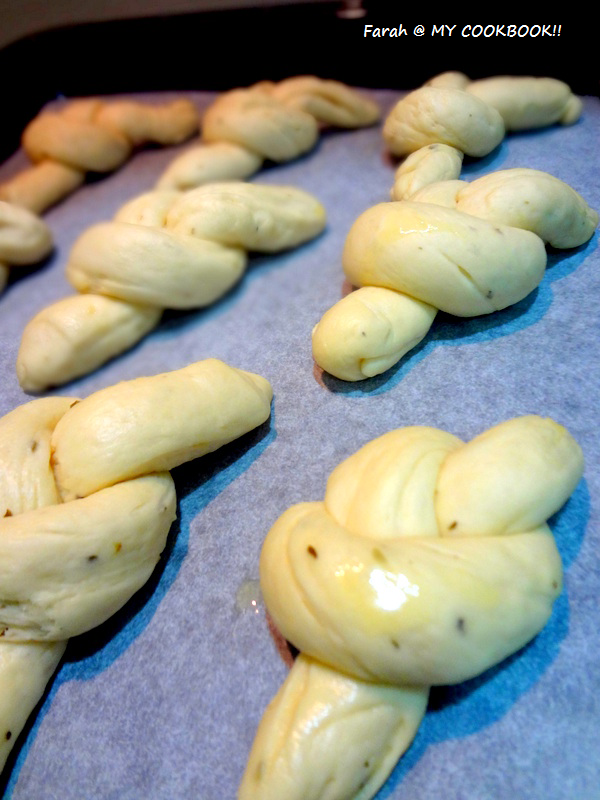 Then bake the knots for 12-15 minutes or until light golden brown. Meanwhile, make the garlic butter. 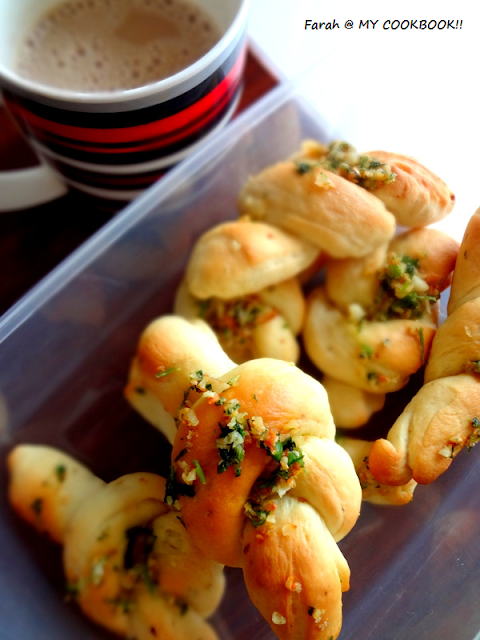 Melt butter in a sauce pan, fry garlic till crisp n golden brown and add chillies and coriander leaves. Stir well.